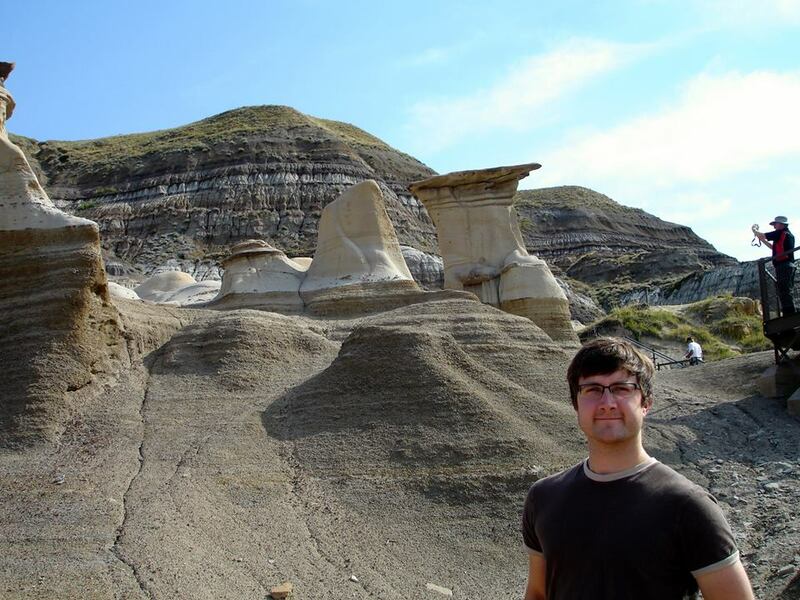 I am currently an NSERC Postdoctoral Fellow at the University of Alberta studying the evolution and development of teeth at the tissue level. I look at thin sections of fossil vertebrates, including extinct reptiles and fish. I also compare these teeth to modern species to understand what aspects of tooth development have remained the same for millions of years, and what features are more variable. From 2011 to August of 2016, I was a PhD student in the Reisz Lab in the Department of Biology at the University of Toronto Mississauga. My PhD focused on the histology, evolution, and development of teeth in amniotes (a very broad group that includes all mammals and reptiles…it was an ambitious project). Before moving to Mississauga in the fall of 2011, I was a Bachelors and then a Masters student at the University of Alberta in my hometown, Edmonton. I did my Masters research in the Caldwell Lab at the University of Alberta. My research focused on naming a new genus and species of mosasaur from Morocco and studying an unusual mosasaur from California. I have had a life-long interest in palaeontology and can’t imagine doing anything else. Growing up in Alberta, my family would take me to the badlands in and around Drumheller almost every summer. I began my undergraduate education in 2004 thinking that I would eventually become a dinosaur researcher, but, as you can see, I slowly turned towards the wonderful worlds of mosasaurs and the evolution of teeth. Lastly, I’m a huge hockey fan. That goes with being Canadian. Keep an eye out for Oilers-related tweets!